A valuation consultant must understand the type of healthcare entity he or she is valuing, the opportunities and risks as discussed above, the potential buyers, the marketplace, and typical valuation multiples for specific types of deals. Extensive research into these areas will lead to a significantly better and more informed valuation. The author discusses the different buyers, motivations, and trends. There have been many other scenarios as well—healthcare entities have a wide variety of buyer types (private equity, public companies, healthcare systems, and physicians, for example) in the marketplace. In my experience, I have found it very helpful to read and research the different types of buyers and the range of valuation multiples that are typical for each specific type of transaction. This not only provides a sanity check to valuation conclusions derived using the standard approaches (Income, Market, and Net Asset); I have also used this research as an additional Market Approach method and source to reaching valuation opinions. 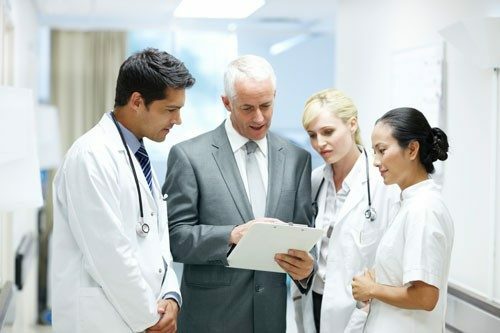 In addition to understanding different types of buyers, it is imperative that valuation practitioners in the healthcare space understand the current marketplace for the different types of healthcare entities, such as urgent care, ambulatory care centers, dialysis centers, hospitals, skilled nursing, multi-specialty groups, single specialty practices, etc. In the state of New Jersey, where I am based, I have seen a very profitable ambulatory surgery center sell to a public company joint venture for 11 times earnings before interest, taxes, depreciation and amortization (EBITDA). I have seen large physician practices sell in the range of four to six times EBITDA and more. Not long ago, I was contacted by three physician practices in another state who were considering joining together as a consolidated group in order to increase their EBITDA—this could lead to a higher EBITDA multiple applied in a valuation and thereby increase the value of the offers they would receive from private equity buyers. Why are buyers interested in these specific healthcare entities? Each healthcare entity has its own opportunities and risks, and the buyers are specifically looking to leverage off the opportunities in an acquisition. Recently, I was asked to value a large, very profitable, hematology oncology group that was allowing a physician to buy into the practice. Pharmacy services were also a profitable part of the practice. The practice was in high-growth mode and was anticipated to continue its rapid growth in the next few years. Practice management had been approached by private equity buyers as well as other large oncology groups and knew that the practice had value to significant buyers. The physician buying in could potentially see a significant return on his or her investment if the practice was sold to one of these buyers in the next few years. As the valuation analyst, it was important for me to understand the potential buyers of this practice (private equity, publicly-traded companies, large single specialty groups) so as not to undervalue the practice considering the market. To value this practice, I performed an Income Approach using a discounted cash flow model, as the practice was experiencing significant growth, which was estimated to continue by management. There was also the related pharmacy business that was part of the practice that was growing as well. I performed a Net Asset Approach and considered all of the net tangible assets of the practice, and also calculated the value of the intangible assets of the practice. Using the Market Approach, I determined price to revenue and price to earnings metrics of other sales of oncology and hematology practices. Lastly, I searched for and reviewed articles and presentations regarding healthcare equity transactions in the marketplace. During this last stage of analysis, I found an excellent article, written by several experienced mergers and acquisitions and valuation professionals, discussing the different EBITDA multiples typical in a: 1) physician-to-physician purchase, 2) a private equity purchase of a practice, and 3) a public company purchase of a large practice or healthcare entity. The article gave a range of multiples of one to three times EBITDA for the physician acquirer, four to eight for the private equity acquirer, and 10 to 20 for the public company acquirer. These multiple ranges approximate what I have seen in my own healthcare valuation practice. In the valuation I was performing, the potential buyer was a physician; however, it was highly likely that the practice would be purchased by a private equity group or large hospital system within the next two years. What was the correct EBITDA multiple to use? It was my assessment that the higher end of the physician-to-physician EBITDA multiple was appropriate, and I used a three times EBITDA for this scenario. This was also in the range of the Market Approach transaction multiples I found for larger practices. In several of my recent reports, I have included a separate schedule that highlights relevant and timely articles, and the valuation multiples that have been paid for similar practices or similar healthcare entities. Private equity buyers have easier access to capital, which drives higher multiples. Private equity companies are presently targeting urgent care, dermatology, anesthesia, and radiology. Their purpose is to look for platform acquisitions, expand into other regions, add sophistication, add systems infrastructure, infuse growth capital, and have a strategic exit. Hospitals may be performing acquisitions to gain geographic coverage, add new patients in the system, consumerism, and obtain knowledge of markets that the acquired healthcare entity is servicing. Private equity deal multiples continue to rise. The global median private equity EBITDA multiples were 9.3 times in 2014, 8.2 times in 2015, 9.2 times in 2016, and 10.7 times in 2017. Private equity has been also very interested in physician groups, including: primary care, dermatology, ophthalmology, pain management, orthopedic surgery, emergency medicine, radiology, and anesthesiology (the last three are hospital-based). Acquisitions rose to 48 in the first quarter of 2017, a jump of 78% from the fourth quarter of 2016. Multiples of 10 to 12 times trailing twelve months EBITDA are not uncommon for high quality platform practices. These multiples are sometimes generated by seeking prospective compensation reductions from physician owners. Multiples are further justified when add-on practices are purchased at multiples that are 20–40% less than those paid for platform practices. The healthcare industry is pushing to provide services in lower cost outpatient settings. The company VMG, experts in healthcare consulting, anticipates that hospitals and health systems will continue to want direct participation in the ASC industry through either outright acquisitions or indirect participation via a joint venture arrangement with ASC management companies or local physicians. Based on the above, the valuation analyst would know what to look for in billing (only the technical component), whether a premium for a CON is warranted, potential risk to the ASC’s reimbursement, the current trend of consolidation (which could be a positive factor for value), and that ASCs are still a promising investment, as healthcare in the U.S. is moving toward out-of-hospital, lower-cost providers. The analyst would also know of a significant transaction in the marketplace and the EBITDA multiple applied. A valuation consultant must understand the type of healthcare entity he or she is valuing, the opportunities and risks as discussed above, the potential buyers, the marketplace, and typical valuation multiples for specific types of deals. Extensive research into these areas will lead to a significantly better and more informed valuation. The University of Texas School of Law 30th Annual Health Law Conference, presentation on “Private Equity Transactions with Healthcare Providers,” by Lisa Atlas Genecov, Colin McDermott and Howard T. Wall III. AICPA Presentation “Healthcare Consolidation: A Review of Recent Trends and Transactions,” by Chris Rogers and Colin McDermott. Genecov, McDermott and Wall presentation. VMG Healthcare M&A Report 2017 Trends and 2018 Expectations by John Meindl, CFA, Director and Winston Smart, manager, VMG Health. Monica Kaden, MBA, ASA, ABV, CHFP, is a director in the Advisory Services Group at Marks Paneth LLP. Ms. Kaden has more than 23 years’ experience valuing closely-held companies and assets for a variety of purposes. She specializes in business valuation in connection with estate and gift tax valuations, shareholder disputes, matrimonial litigation and selling and buying business interests. She also values intangible assets including patents and trademarks and performs purchase price allocation. Additionally, she performs lost profits analyses for litigation purposes. Ms. Kaden brings a sub-specialty in healthcare valuation, including professional practices, ambulatory surgery centers, and valuations related to acquisitions made by hospitals. In addition, for compliance purposes related to healthcare entities, Ms. Kaden performs fair market value compensation analysis for physician/executive employee compensation and analyzes agreements between parties to ensure fair market value. She has been involved as an expert in a Federal court matter regarding fair market value calculations. Ms. Kaden can be reached at MKaden@MarksPaneth.com or at (973) 630-5035.